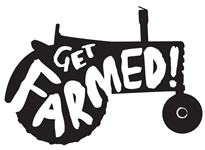 The mission of Get Farmed! is simple: to provide healthy, natural foods sourced locally with honesty, integrity and sustainability to support our Australian farmers. Our delicious ingredients are hand-selected for their goodness from a dedicated band of Aussie farmers, and only the best are chosen from known sources. We can tell you where every single ingredient comes from. Yippeas are the gluten free products made by Get Farmed! 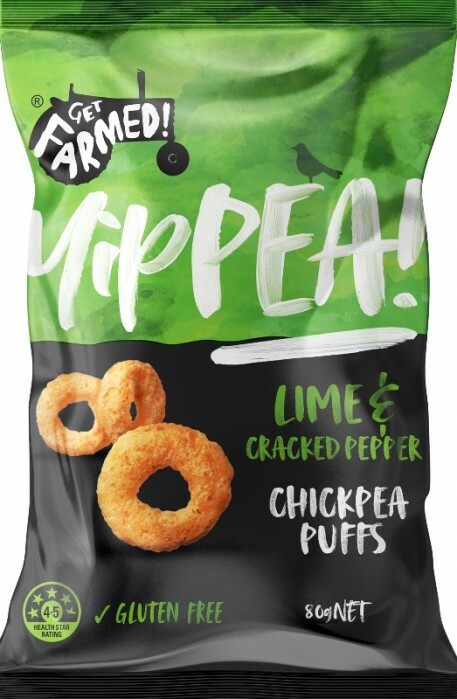 Uniquely created, Yippeas are a deliciously light, wholesome snack. Australian grown chickpea flour and yellow pea flour are blended together and extruded. 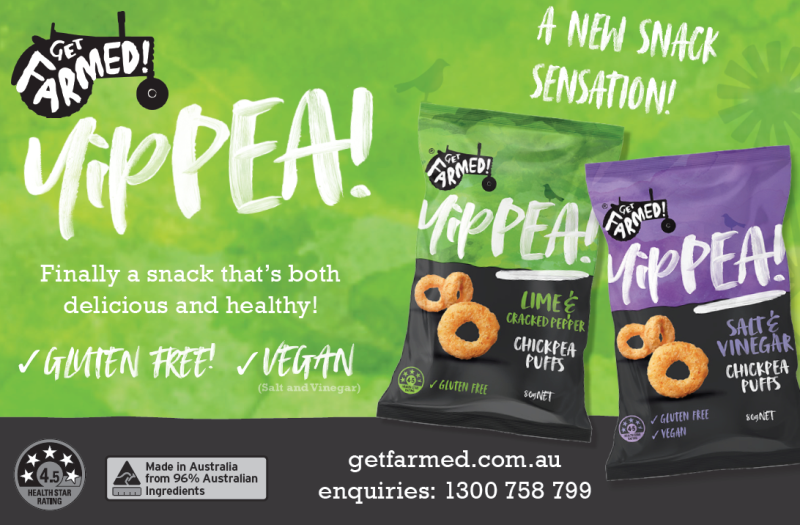 Containing a higher protein content, Yippeas are more nutritious than a regular snack, and contain no added sugar, no artificial colours & flavours, and no MSG. 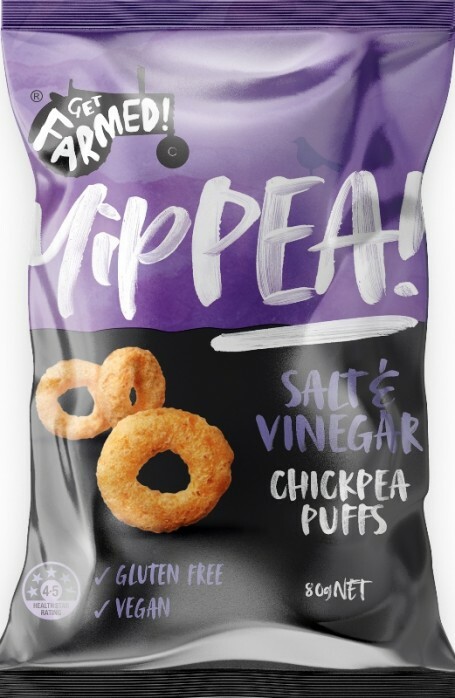 Salt & Vinegar Yippeas (Vegan) - Gently tossed in a little sunflower oil and lightly dusted with a delicate blend of Sea Salt and Vinegar. Lime & Cracked Pepper Yippeas! - Gently tossed in a little canola oil and lightly dusted with a delicate blend of Lime and Cracked Pepper.